Have you ever thought of having your boss taken and held hostage? It can become a reality with Survival Wisdom at Old Down Estate. Survival Wisdom was established in 2008. Their member’s backgrounds include a helicopter pilot, RAF navigator, parachute jumping instructor, force protection specialist and infantry soldier. They are able to organise a diverse range of courses here at the Estate within our woodland from the ‘Great Escape’ to ‘Hunted’. 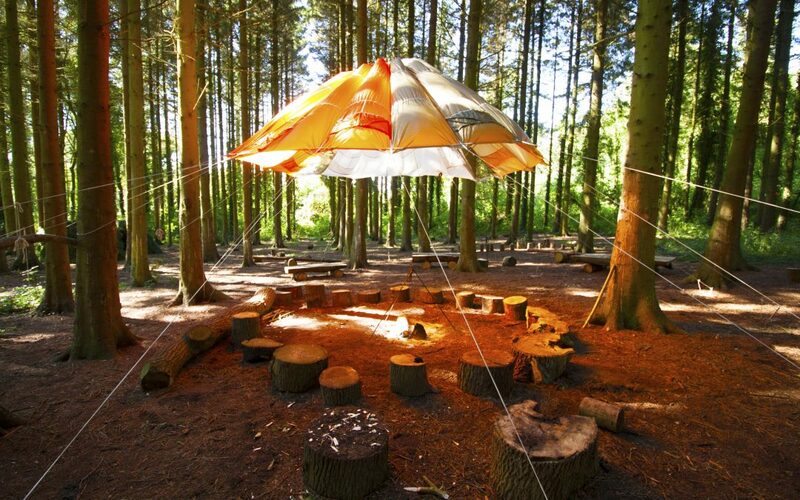 Why not combine a mornings meeting with an afternoon at the survival school camp. 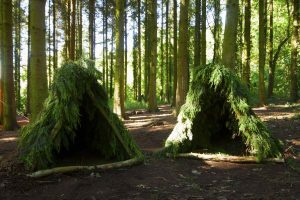 The latest addition at Old Down Estate is our partnership with Survival Wisdom – a team of ex-British Military survival experts, who have literally ‘done it for real, and survived to tell the tale’. The team met at the UK Defence Survival School in Cornwall, where they hatched a plan after leaving the military to put their skills to good use. Put simply, the team exist to give ordinary people the opportunity to get access to extraordinary survival training and experience – all of which is done by ex-military who are putting the skills learned during active service back in to society for good. Fear not, this is not about biting heads off frogs and jumping in lakes. We will leave all that to the TV shows. We run great team building events for companies, sports clubs or groups of friends who want to experience something different whilst building confidence, resilience… and enjoying a great time! The Great Escape – Break free from captivity and ‘go on the run’Hunted – The war is over… but you are still being hunted. Taken – Ever wanted to hold the boss hostage? “I’m a (insert job title here), get me out of here” – You’ve seen the show. 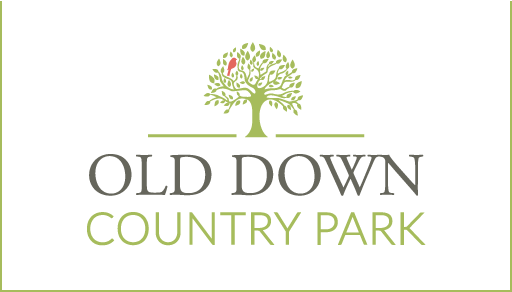 Come to Old Down Estate and experience the event. … and for something completely different, we also run ‘Murder Squad’, a crime scene investigation hosted by our team of ex-police officers. If you want to have a memorable team building event, look no further. Come to Old Down Estate and spend the day with Survival Wisdom.